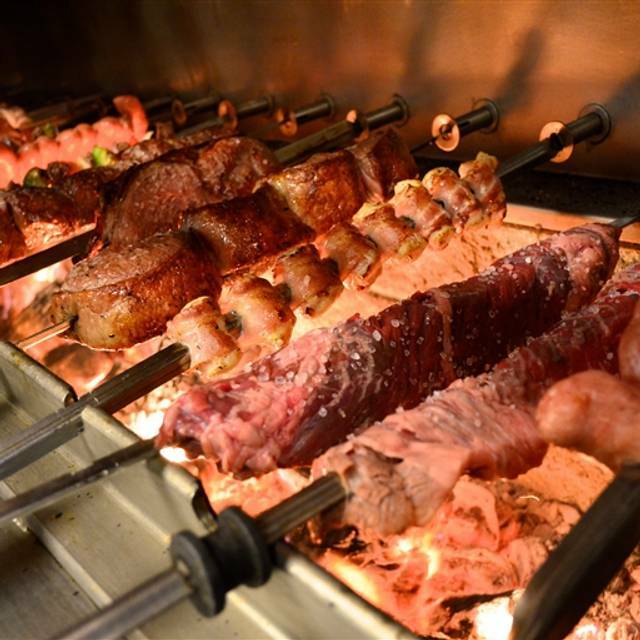 Agora Churrascaria is a Brazilian Steak House in the "Rodizio" style, where waiters, dressed as Gauchos (local ranchers from the South), move from table to table carrying skewers of meat, from which they slice portions for their guests. 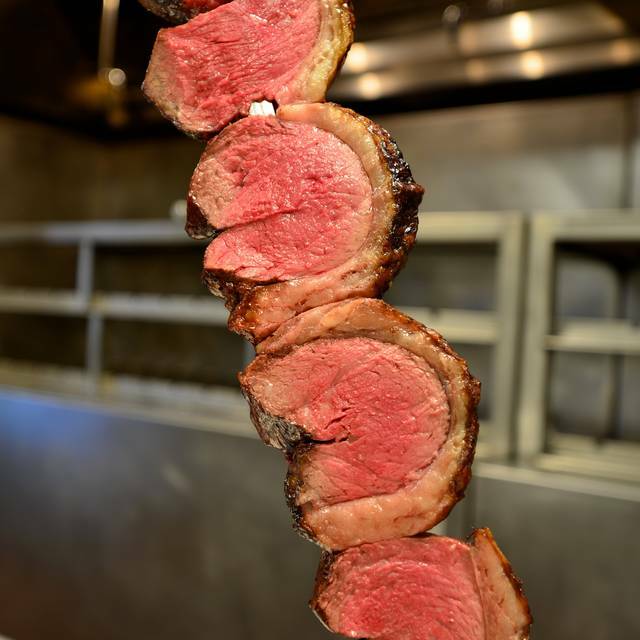 Agora serves 12 different cuts of meat, including beef, pork, lamb and chicken. 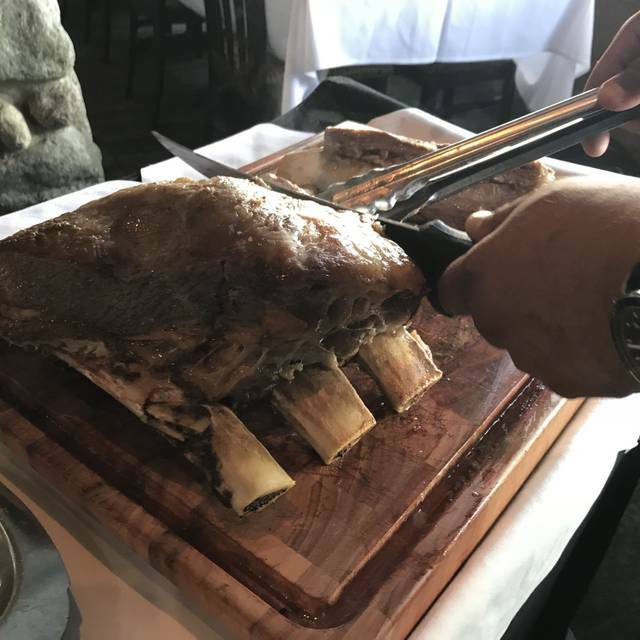 The restaurant prepares each cut as it has been for centuries: seasoned with rock salt to accent the individual tastes of each cut, and slow-roasted over an open flame. Upon being seated, every guest is given a green and red-sided circular chip to control their fixed price, continuous tableside service. The green side signals the Gaucho to "bring it on," while the red side stops the service. For additional servings, guests simply flip the indicator back to the green side. 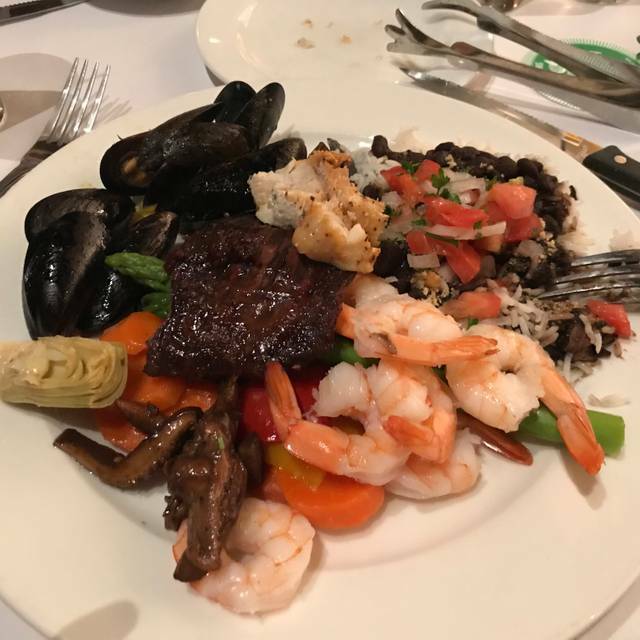 In addition to the succulent meat selections, Agora offers an outstanding hot and cold salad bar, comprised of Brazilian and seafood specialties as well as a variety of tempting side dishes. 11:30 a.m. - 7:30 p.m. Dinner menu served all day. (prix fixe $54) In addition to the regular fixed price menu, Agora will be offering the following: Baked ham with pineapple glaze and a complimentary mimosa. I was really impressed. I brought my Homestay student from Brazil. We liked to go back again. I was a bit disappointed - we've been to Agora several times but this time it was extremely busy. Our table was a bit hidden so we didn't get as much visits from the servers. I asked for more well cooked meat and never got it. It was not the best experience this time. Usually it's outstanding! Don’t fill up on the bread they bring to the table or the spectator buffet that is very fresh and memorable. You are there for the amazing meat!!!! So go and enjoy this place! Delicious meat choices; cozy retro restaurant vibe with ambient space for disabled persons. 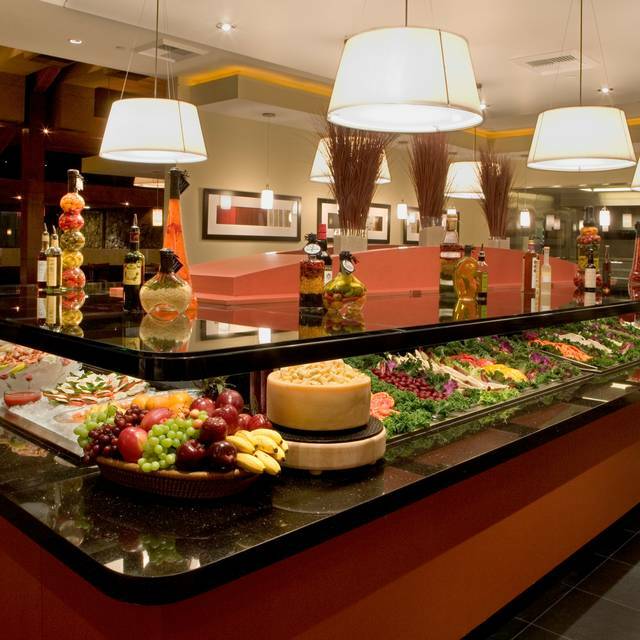 The salad bar is enormous with lots of side choices and appetizers. Waiters are quick and responsive. Slightly pricey but worthwhile with the quality food and knowledgeable staff along with it. Staff is doing s a great job friendly polite !! Service seems to be much better !! It was a great night, the meats were savory, juicy and delicious. The staff was really welcoming and entertaining. Superb food! Our server Lindsey was the bomb! Really happy I celebrated my Bday there. Food, Service, Ambiance outstanding. Will highly recommend. This place has changed dramatically. What used to be a positive experience about 3 years ago has turned into the most negative experience a restaurant can be. The rounds of meats take forever to come and the server called me "ridiculous" when I complained. Worst attitude by a server and awful food and long wait times for the meats. I am never going back. I loved the salad bar, hot food bar and the variety of items available. I would have liked it more if there was grilled pineapple. All the proteins served were exceptional, but the self-serve buffet for all the accompaniments was way below par! Fresh but poor quality shrimp and salami were especially noteworthy. I was shocked that it was $360 for four of us including tip. not a good value! 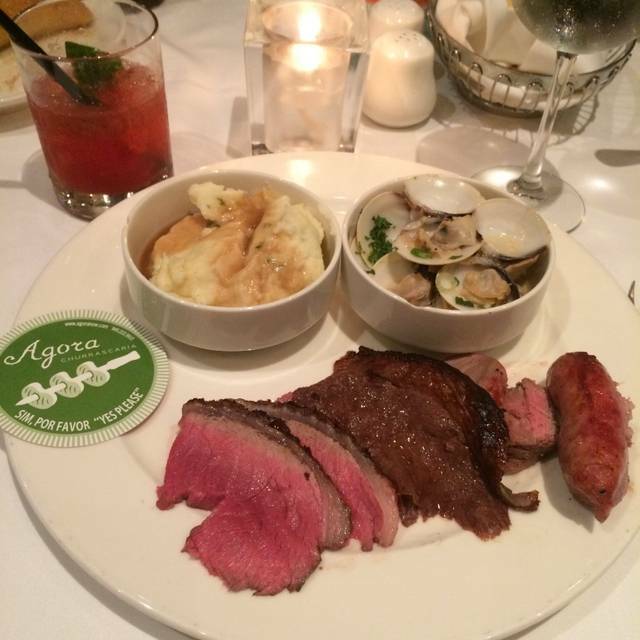 Super fun anniversary at Agora -- lots of delicious meat, kind and informative waiters -- great food. Will go again! Some of the meats were over cooked and dry. Price too high for the level of quality. Will be looking elsewhere. Food was very bland. You're supposed to flip red or green for the food servers. They ignore the protocol and try to force feed you too quickly so that you fill up and leave. Next time we'll go back to Fogo de Chao. Better food and less expensive! I surprised my wife for her birthday with a visit here and she was extremely happy! A bit pricey but overall a great experience with great food and ambiance, the servers are professional and extremely courteous. If you have never been here, I would highly recommend this place fr a visit. The meats were good and the cheese bread. The cocktails were decent. Only complaint is that the salad bar felt homeless. Fogo has a better section. 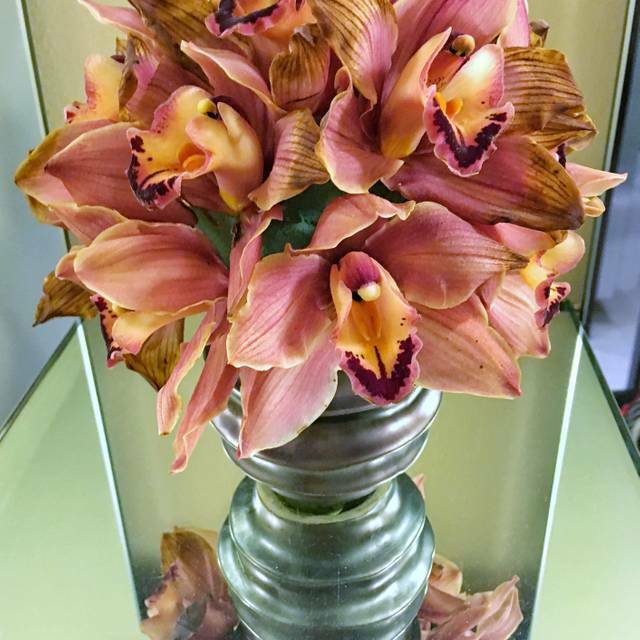 The food was fabulous and the service was some of the best I have ever experienced. I will be dining there again. My waiter Nicolas was excellent! All the terrific meat servers as usual. The hostess was very friendly and courteous. Food is just perfect as always! Good service, good food, nice ambiance and good parking. Excellent service paired with an amazing salad bar. We enjoyed just the salad bar on its own for lunch. $25 without the meat service. There are so many seafood and other great options in the salad bar, we did not miss the meat at all: salmon, lox, cocktail shrimp, prosciutto, tuna salad along with a full salad and hot entree section. Great meats to select from in all ranges of doneness, thank you! Our waiter was difficult to understand though and hovered too frequently. I could tell he was trying, but we just wanted to eat peacefully. Good salad bar, great cheese rolls!! Manager touched our table, so that was welcoming. You need to be hungry to appreciate the full experience and understand to use the tongs when necessary! Came here during OC Restaurant Week. Overall, I thought it was a decent value. Service was quite good. Food was great for the most part, though some meats were a bit burnt (the ribs in particular). Ambiance is nice. Didn't think it was too loud, but necessarily super quiet either. Great experience at Agora. The staff were supper friendly. Will definitely be coming back! Manager stopped by table no less than 7x...Waiter was fully attentive and anticipated every whim....Absolutely superb service. Food quality was spectacular...every cut better than the last. As for the food we were placed in the dining area to the side of the main dining area. The meat man didn’t come by as often and when they did it was the same types of me we already tired I think we only tried 6 of 16 different types that night. Total experience was disappointing, sad that my boyfriend didn’t get to enjoy the experience like I has in the past. The variety of meats was impressive, but aside from the Prime Rib and Garlic Beef, the rest were basically tasteless and there were not any sauces to dip them in other than the one on the table. We were not acknowledged after being seated and had to ask someone to send the meat servers over even though our cards were turned up as green. 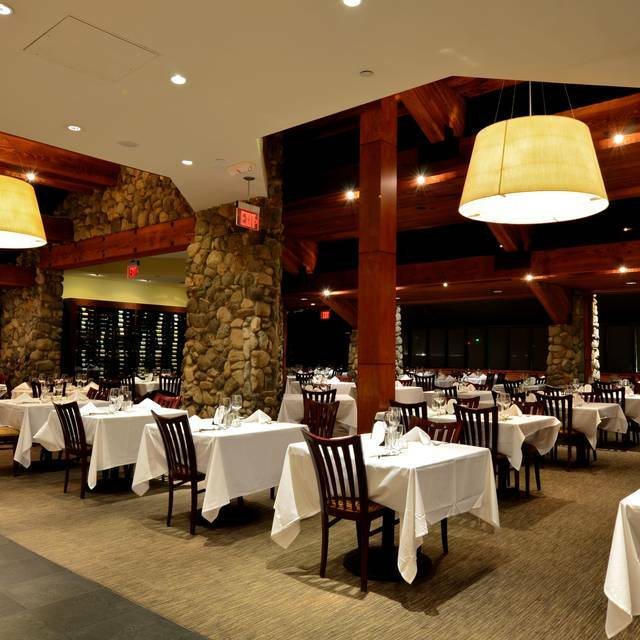 Great food, outstanding service, nice location...overall a fantastic experience. Savory and absolutely juicy cuts of meat. 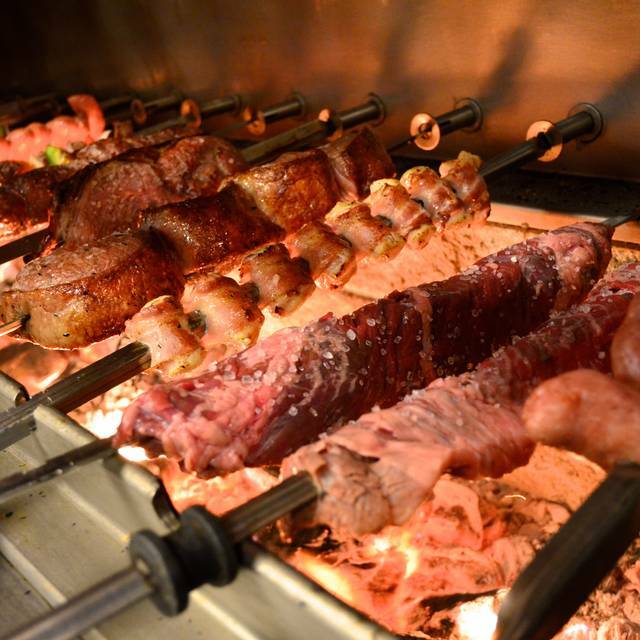 Agora Churrascaria really did impress. Clean presentation and nicely appointed interior. Everything was good as usual,besides this water. I had him waited on my party twice in the past,he’s the least favorite one in this restaurant. No matter it’s party of 3, or just myself, he always brought drink(s) to my table the last,even my party was always the first one he got. This time I got my hot water when I fished half plate of my cold dishes,and my coke arrived 23 minutes afterward. Never offered refills unless I asked and another 10-15 minutes wait. If not because the bus person took such good care of me,I would leave no tip at all. I still left 20%tip for the sake of the bus person. When I paid my bill with cash,he never brought my change back until I asked and it’s almost $20 change. All I had was dinner for one,and coke. You figure it out. He told me he thought that’s all his tip. Really?! I think he’s lack of respect to females and Asian. He loves his business men customers. His name is mile(?). I hope I will never had to be tortured by his cold abusive attitude when I dine here. First time to eat at a Brazilian steak house. The food was excellent and the variety offered was extensive. Our server was quite friendly and answered all of our questions. A manager came by several times to ask if there was anything we needed and what meat would we like, if we hadn’t been offered it yet. I would recommend this restaurant to anyone! If you are a meat eater, this is the place for you. All of the cuts of beef are delicious but, my favorite cut is the Fillet Mignon. It's perfectly cooked and ever so tender. The service was outstanding which was unexpected for an all you can eat restaurant. Our server was constant refilling our waters and when she noticed that we were sitting and waiting because our cards were still green instead of red, she asked us if there was anything specific we were looking for. When we told her what we were waiting for she went to the kitchen and let them know and shortly afterwards the two items we wanted came out. Great salad bar. Very authentic feel. Knowledgeable server, all food served had spectacular quality.